If you are interested in becoming an official for any of the youth sports, please visit our contacts page and reach out to the realated group. Download the iPhone or Android app for your smartphone to keep up with games, practices, photos, and more. 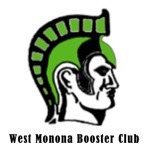 To find teams, search for "West Monona Youth"
The mobile app is now FREE! Welcome to the New Online Home of West Monona Youth Sports! This will be the new place for all local Youth Sports information. You will be able to register and pay online, check schedules, and follow your current teams. We are working to get all the information added and kept up to date. If you have any questions please visit the Contacts page for more information. What do you want to see on wmyouthsports.com? Check out this link to get some help navigating through the new website. Background checks can be done through the NGIN sites. ©2019 West Monona Youth Sports / SportsEngine. All Rights Reserved.